Most important, approach social business as transformation. Not marketing. Not PR. Not sales. Not customer service. For the first time, firms can relate to individuals socially, at scale. And all of your stakeholders increasingly want this. Firms don’t know how to relate to people as individuals because no firm has been able to do it prior to Web 3.0 social applications, and stakeholders hadn’t experienced it. They have now, and they prefer being related to over being sold to or “serviced” by a firm for whom it’s a cost center. Firms will have to learn to relate—or go home. If your social business team isn’t grounded in this reality, you are largely wasting your time and money. For another reference, check out McKinsey’s excellent Social Economy paper, which offers quantitative detail: they conclude that, in most industries marketing and communications represent 10-20% of the social economy potential. Two thirds is collaborating. Their general advice: approach social business as organizational transformation because it’s necessary to break down legacy work processes and habits to tap the full potential of collaboration. Use metrics that indicate changing levels of trust and commitment in relationship. Social actions in digital social venues offer many quantitative ways to measure this, but most practitioners are too busy checking their Klout scores to notice. They will insist that a tweet or retweet does indicate increasing trust or relationship. It doesn’t. It is a social action, but its value is often too little to matter. You need to focus on actions that are closer to offline indications of changing trust and relationship. Given transformation, build with a mix of traditional disciplines, but have social business led by a non-traditional person or group. Look for people with sociology or anthropology in their backgrounds. During the next 2-4 years, the mission of most firms and organizations is learning how to relate at scale in meaningful ways, using authentic human workstreams that will make the CFO proud. You’ll shorten your learning curve significantly by admitting that you don’t know what you’re doing. Being real, human and efficient is not something any organization has done before, with very few exceptions. Culturally, we have solved this problem by separating “work” (impersonal) and “home” (personal). Do you realize that was an arbitrary mechanism of the Industrial Economy? It’s going.. going.. [ ]. Managing with these principles will require higher than average risk-taking, but the rewards of getting in the zone are exceptionally high. Relating at scale will remake markets. Make this reality an explicit part of your ethos. Learn more about how the transformation will affect organizations in The Social Channel. Architect before you build—the issue that all firms face in 2013 is that the conventional interpretation of social business is that it’s social media. That assumption will lead them to create teams that are marketing- and promotion-led. Instead, you need to experience building meaningful trust and relationship in social networks to see what it looks like for your business. In the abstract, there is a lot of commonality across industries, but social context makes it look different. Conduct robust due diligence—and use the results to create a social business strategy, which shows: where the most meaningful, relevant conversations among your stakeholders are happening; what kinds of interaction produce the best results; what topics stimulate the most interaction; how competitors and substitutes are involved. By conducting due diligence and analyzing results, you’ll have a snapshot of digital social venues (CSRA’s are called ecosystem audits) that is relevant to you. To create the strategy, you’ll need to analyze your firm’s ability to deliver, so you can create the most efficient interactions that maximize the return on your initiative. Test the strategy with several pilots—this is the first stage of team building. Design roles in pilots that require small, specific types of interactions. For example, a LinkedIn pilot might call for launching or rebooting a Group, using Polls and interacting in Answers discussions in Groups. You could have one person create and manage Polls, two people in Groups, one that initiates discussions and invites people to interact and another that serves the subject matter expert role and answers questions that arise in Group discussions. Having small, discrete roles enables you to conduct pilots without hiring extra people. You can see, in real situations, who is best at achieving your goals and what kind of characteristics they have. These learnings naturally morph into your “requirements” when hiring. Use relationship-centric measurements—for general examples, see the Social Network Life Cycle Model, which specifies four stages of trust and relationship and how to quantify each. These metrics enable you to learn from pilots at very low cost, and low risk. How to think about hiring—your social business strategy will show the level of adoption among your stakeholders, and that will drive how to build your team. For example, if several of your key stakeholders are very active, and several of your pilots get excellent results, that might call for a more aggressive plan, and you might want to hire at a higher level to get a jump on competitors. Most consumer-oriented brands have hired “social media managers” or “directors of social media” who are usually quite hands-on and adroit with interacting online. Most of them lack executive skills or experience with business strategy. If adoption is modest and you have little internal expertise, hire at the manager or director level. Getting started—if you don’t have an executive who is comfortable with the process I’ve laid out here, think about getting external help to guide you through the strategy and pilots. You may well have someone who is capable, even though s/he doesn’t have experience with social business. Look for people with innovation experience, who excel at learning while doing. You do need some strong expertise in analyzing social venues and due diligence, which is the foundation of a solid strategies. Personal experience with relating online; this means detailed, in-depth public discussions on a variety of topics—and interacting with aplomb while facing hostility. Personal or group blog that features in depth treatment of topics. Significant track record for commenting on blogs, forums and mainstream media sites. This should include some risk-taking (confronting people respectfully, taking unpopular positions). Experience with serious innovation, startups or business launches. Someone who knows how to start, fail, iterate, succeed. Multifaceted understanding of “relationship” that can be exhibited through: acting (drama/improv), cross-cultural living, software design, a background in sociology or anthropology. Experience with mentoring and empowering others. A confident communicator in unstructured situations; don’t focus on the preso, but the Q&A. Can facilitate others’ discussions. Test this. Executive experience: managing P&L, interacting with peer VPs/CxOs on initiatives; experience “working the organization” to make things happen. Social business will ruffle feathers, so you need someone who can navigate fear, stereotype and who can build bridges. Social business directors and managers should have most of these characteristics, minus the executive skills. Social Business Strategy Use Cases details five common business situations that demand a higher level of competency, and each is linked to a specific team building guide: Upgrade Social Media, Fix Fire Drill, Catch the Leaders, Herd the Cats, and Transform the Enterprise. Use the Competency team tag to access all use cases and supporting posts. 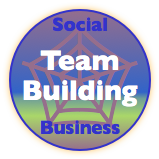 What is your experience with building social business teams? Excellent post – thanks for taking time to thoughtfully outline the ‘reality criteria’ that organizations should be using to recruit their Social Business Thought Leaders. We are experiencing a deja vu of sorts in the industry. Back in Web 1.0 eCommerce revolution, there was a similar need to build new business & technology expertise in-house. The same rules apply now in Web 2.0, 3.0 and beyond – hire people with a track record of delivering, not just talking about the latest trends and technology. Look for the folks who have the “battle scars” of mistakes and adaptive learning that will ultimately benefit your organization. Have enjoyed reading your blog – keep up the great insights.